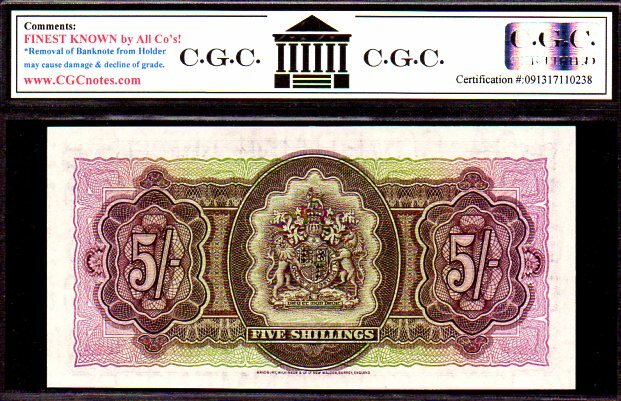 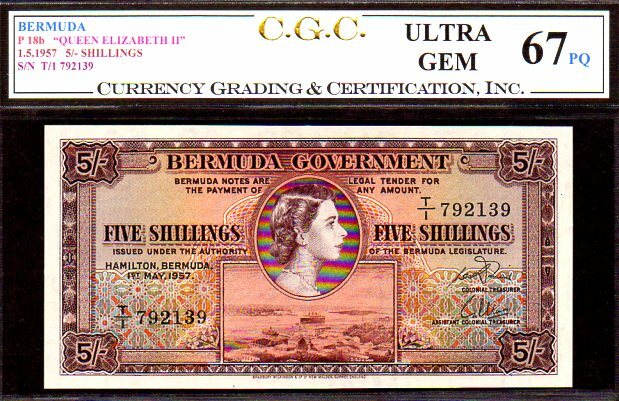 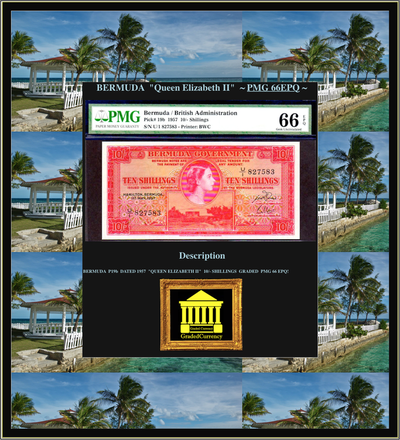 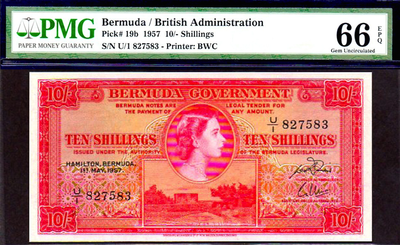 BERMUDA P18b "QUEEN ELIZABETH II" 1.5.1957 5/- SHILLINGS GRADED CGC 68PQ PREMIUM GEM!! 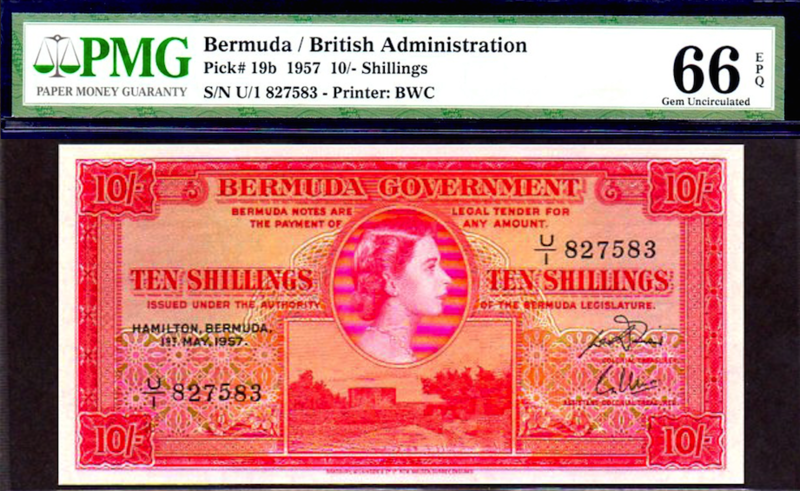 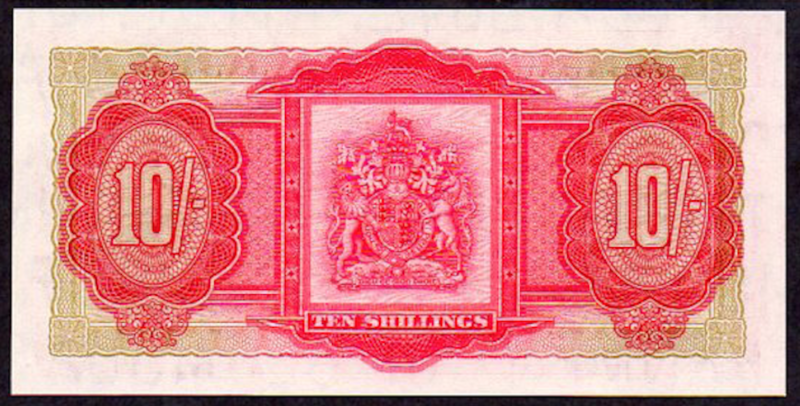 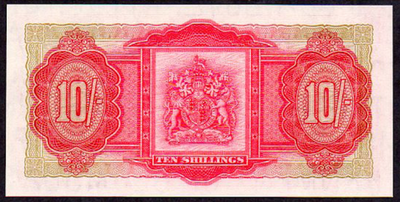 THIS NOTE IS TIED FOR FINEST KNOWN BY A GRADING COMPANIES! BERMUDA P21c "QUEEN ELIZABETH II" 1.5.1957 5 POUNDS GRADED CGC 45PQ EXTREMELY FINE! FINEST/ ONLY KNOWN CGC!